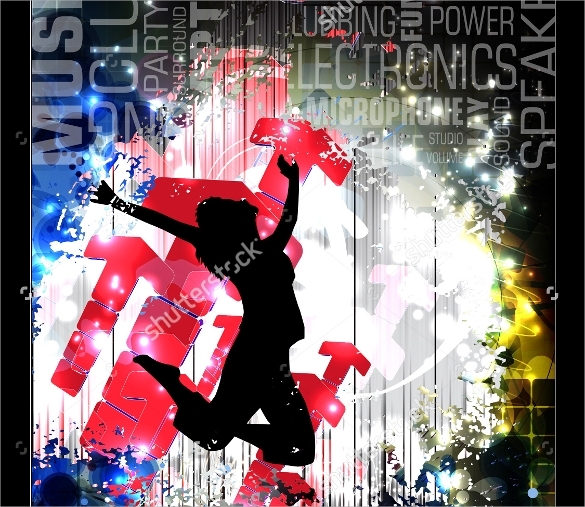 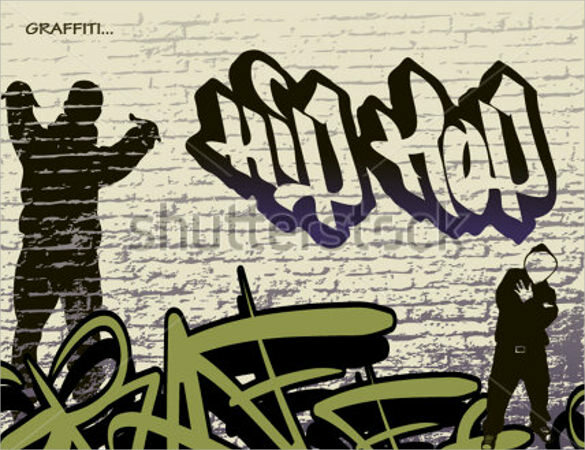 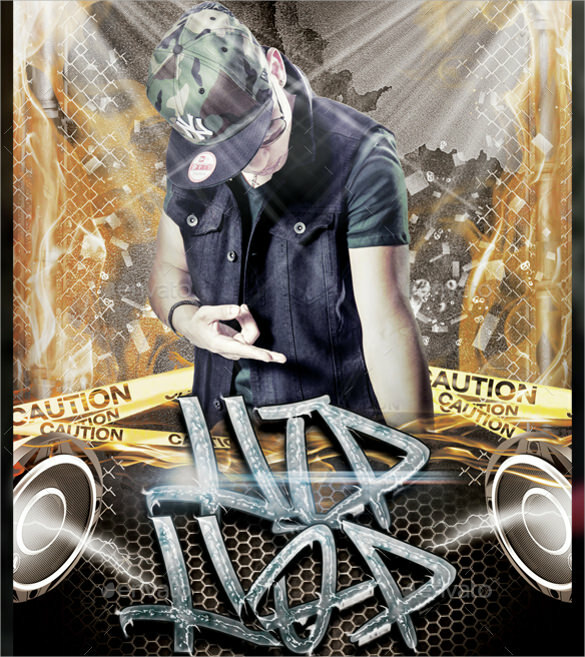 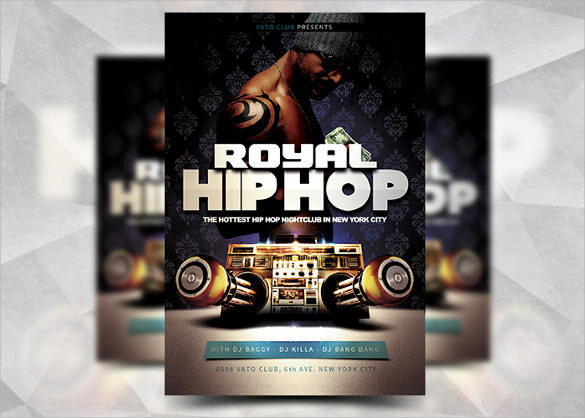 Hip Hop Nightclubs are places which are bustling with life and heart thumping music all the time. 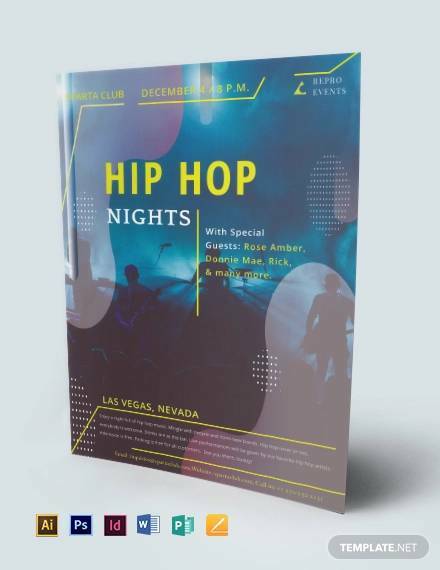 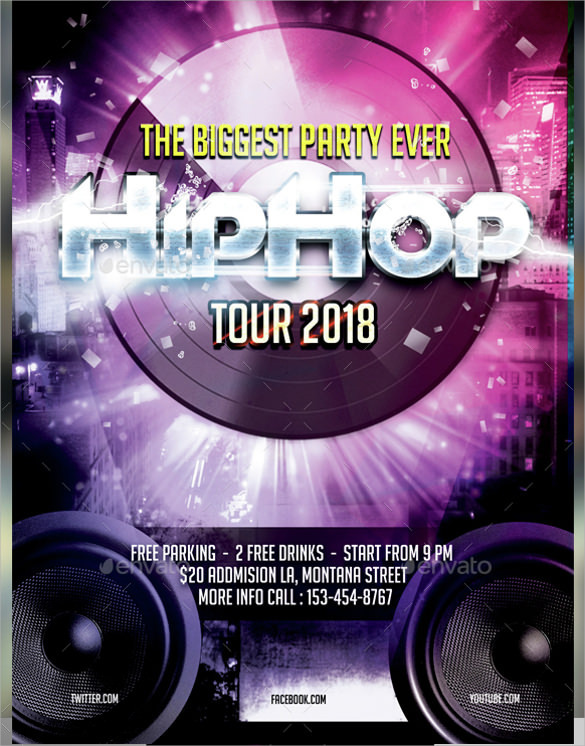 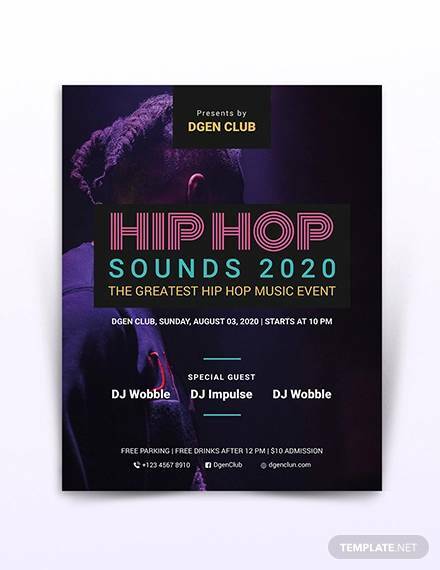 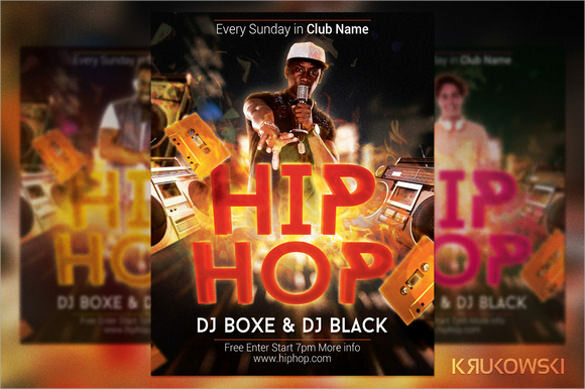 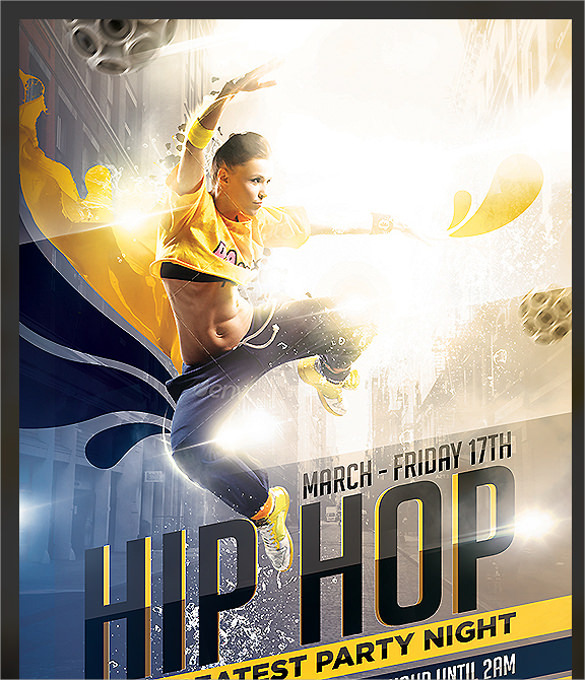 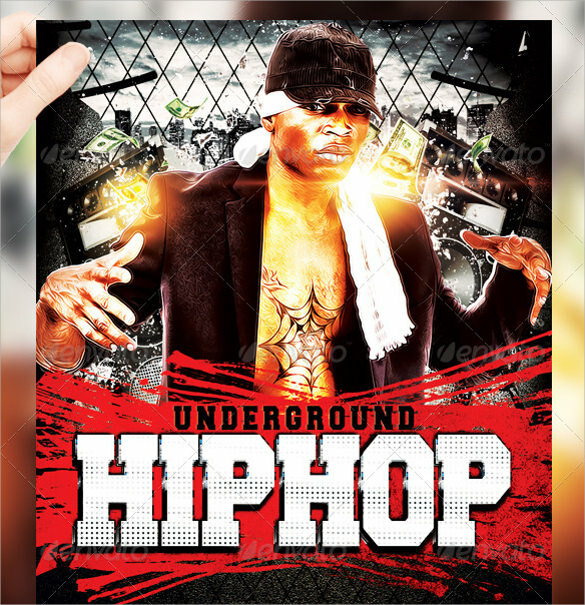 To advertise about an upcoming Hip Hop Night in a club you as an owner of the Night club would need a flyer which is simple yet bold kind of a Flyer. 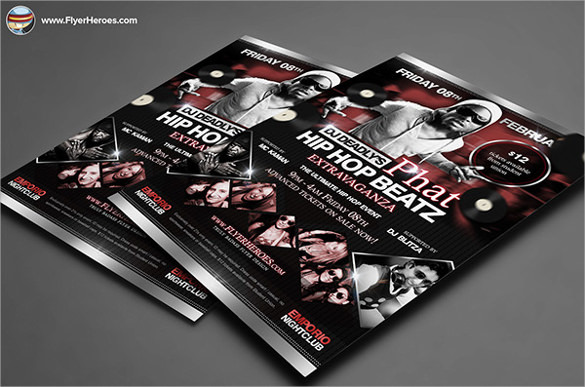 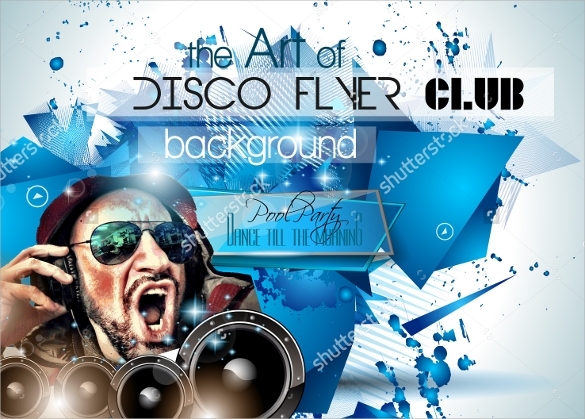 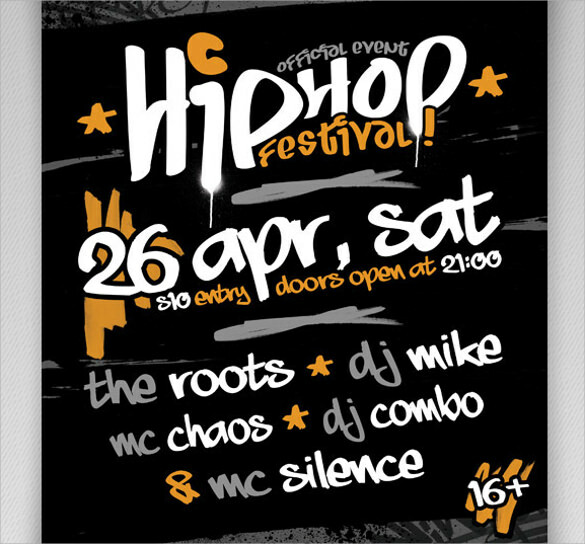 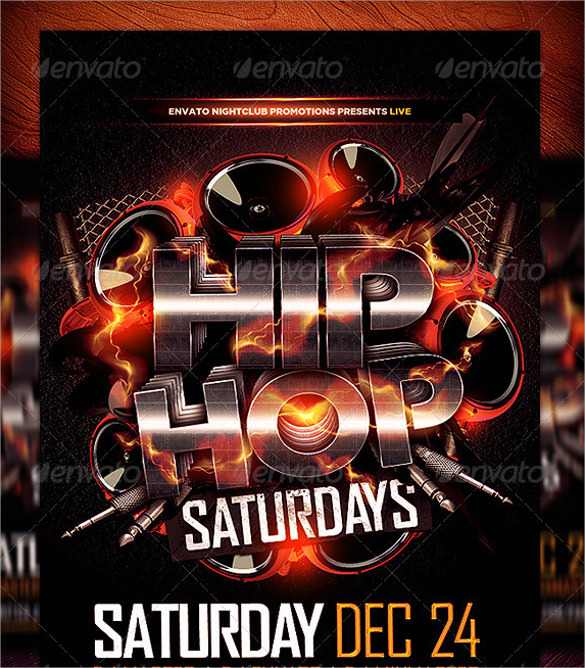 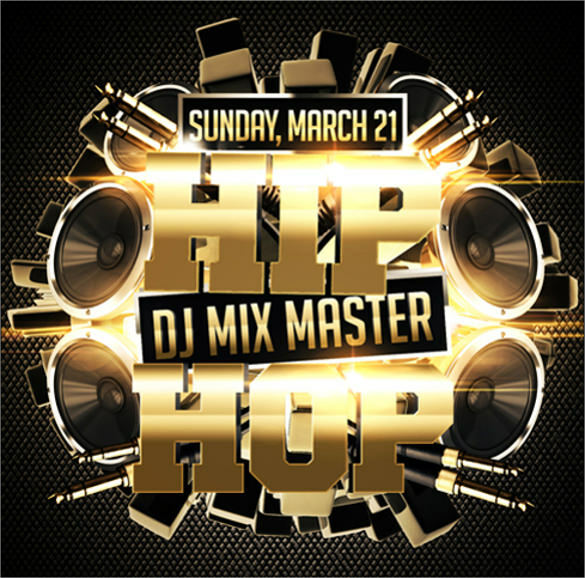 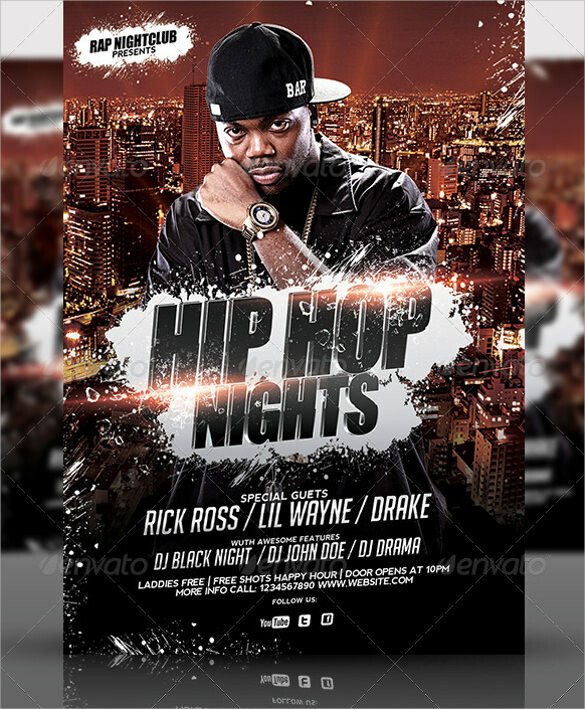 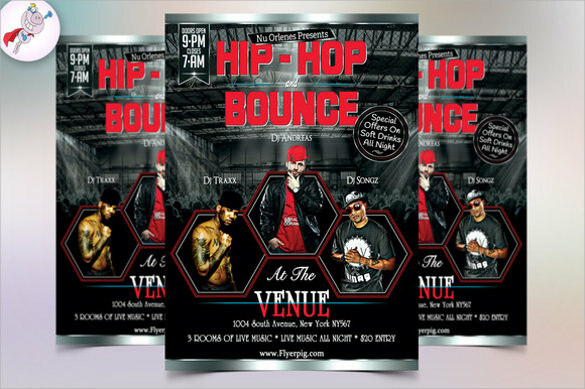 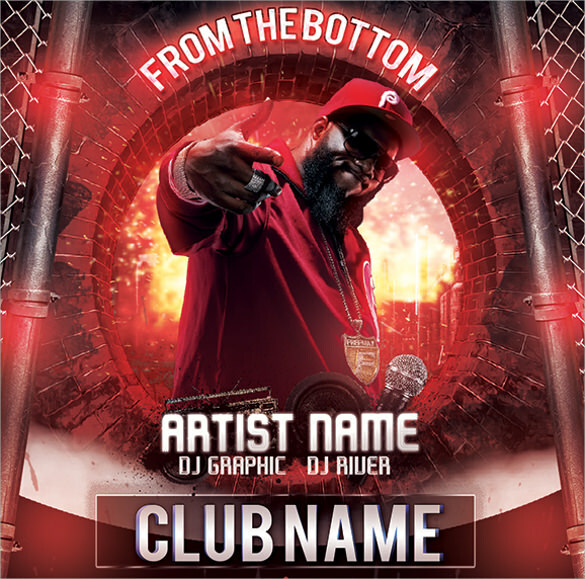 Our range of Hip Hop Flyer Templates , Invitation Flyer Templates is very easy to customize to fill in your event night details. 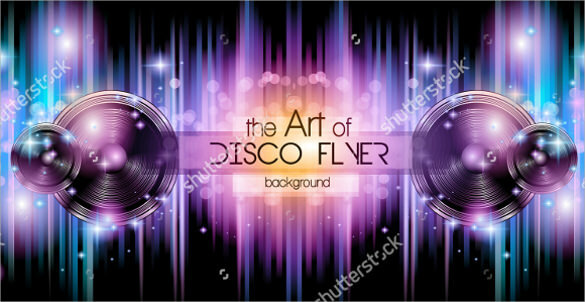 You can also squeeze in a little trivia about the performing artists just to prepare the potential audience about what they should expect. 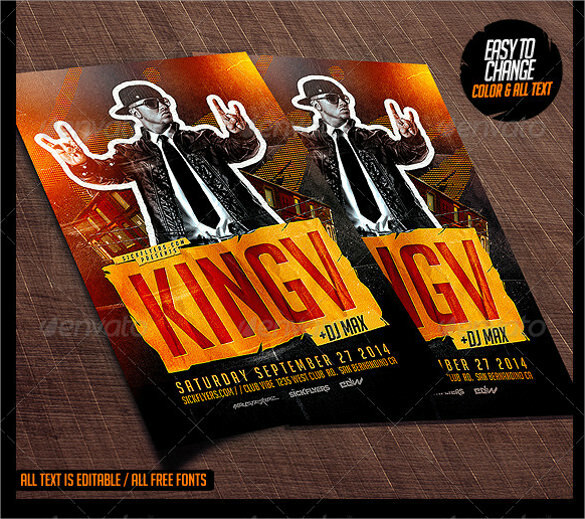 Apart from that you can fill in other important details like date and time, special offers, ticket prices etc.